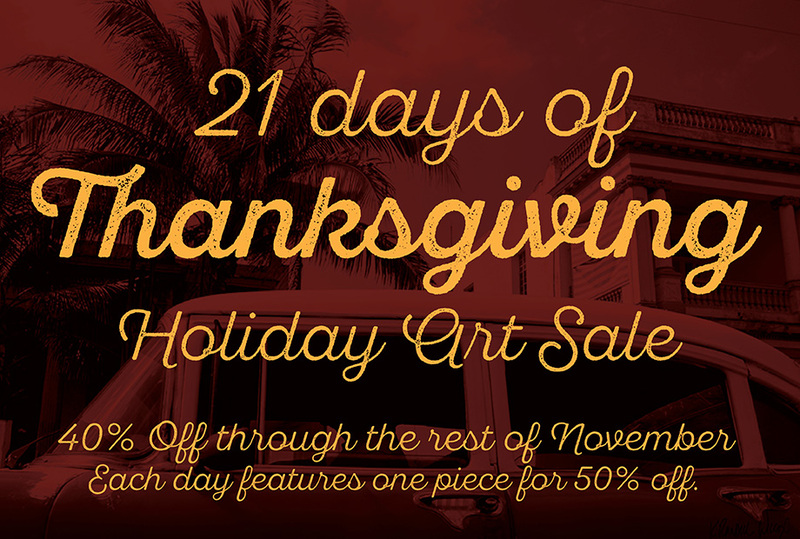 Thanksgiving Sale over at K. Randall Wilcox Fine Art! In the spirit of thankfulness (and, to be honest — holiday sales), we are having a big sale over at Randy’s fine art site. Lots of artwork, at least one piece per day, through the end of the month, at 40 – 50% off gallery pricing! Check out the sale here, and we hope you find something you’ve been wanting to purchase!